T-Mobile USA has started rolling out LTE-U in select locations (see below) to improve capacity and speed. 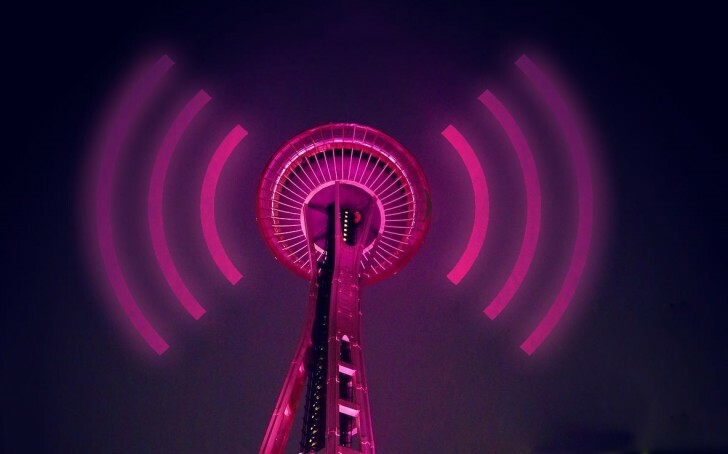 In addition to that, T-Mobile became the first US carrier to test the related LAA technology. It demonstrated a 741Mbps download over 80MHz of aggregated spectrum in the 5GHz band. If you’re worried about your 5GHz Wi-Fi, LAA is designed to play nice with existing wireless tech on the same band by following the “listen-before-talk” protocol. Back to LTE-U. It is available in Brookly, Las Vegas, Bellevue, Richardson and Simi Valley. More locations will be developed later this year. Currently, only the Samsung Galaxy S8 supports this technology. The new tech, LAA, allows for better carrier aggregation, which will further boost mobile Internet speeds. Note that phones can combined licensed spectrum (classic LTE) and unlicensed spectrum (like LAA) so the speed quoted above is just part of the possible maximum.